In Malawi on Monday, 7th of January 2008, four YWAMers survived a serious car crash after the bus they were traveling in overturned. 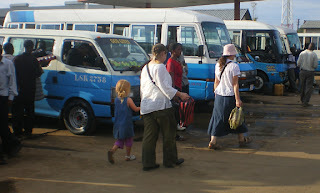 The incidence of public transport accidents is notoriously high in Africa, and most YWAM staff travel in this way. Over the years many fellow YWAMers have been involved in similar road accidents. In your prayer times please thank God for His protection and continue to ask for the safety of all our staff.